This unique space has all wood floors and a turret with seated bench storage. 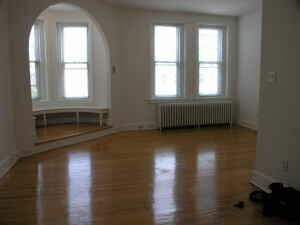 Recently renovated with Central AC, smart design kitchen with dishwasher and frig with icemaker. Washer and dryer are in the unit. Rent includes heat and one assigned off-street parking space.